Mozart’s Magic Flute is probably his most complex opera, both musically and in terms of plot. Artistic director Donald Pippin and Stage Director Nicolas Aliaga have chosen to present a delightful entertainment which does full justice to the music. However, rather than delve into the philosophical depths of the plot, they have chosen to emphasize its happy and comic elements. In less skillful hands, this approach might become banal, but I found it thoroughly delightful, and it precisely fit my mood on Sunday, March 9, 2014. 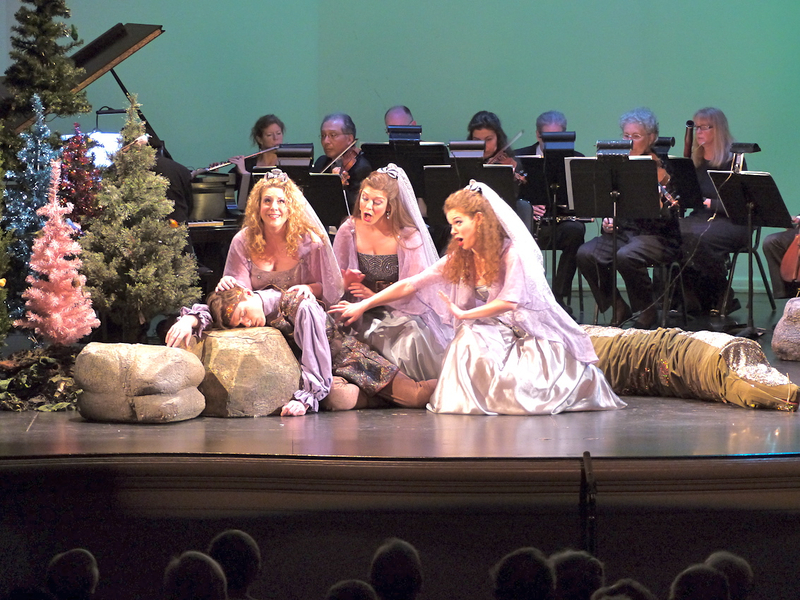 The opera premiered in 1791, and is in the form of a Singspiel with both singing and spoken dialogue. 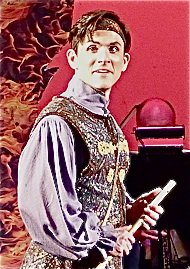 The librettist, Emanuel Schikaneder, also played the leading comic role of Papageno on opening night. As usual with Pocket Opera, the original German text was freely adapted into English by Donald Pippin – with excellent results. 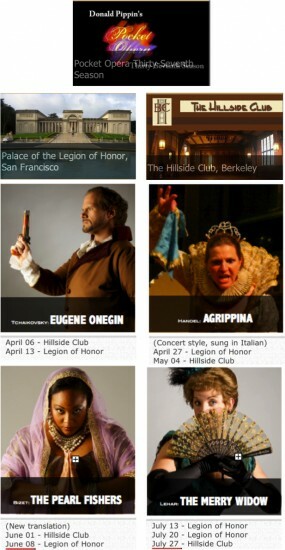 I have lived on the peninsula for 21 years, and have been a subscriber to Pocket Opera for all of that time. Many of the performers keep coming back, and I always delight when I look at the program and see more and more names that I recognize and remember. I’m going to spend most of my review randomly sharing some of that experience. I saw my first Pocket Opera in 1994, but the earliest memory of a specific Pocket Opera performer is Michael Mendelsohn as the Devil in Stravinsky’s The Soldier’s Tale in 1996. Two years later I first saw him as Monastatos, and again in 2005; this is the third time he’s done it for Pocket Opera. He has a fine tenor voice and is a consummate actor. 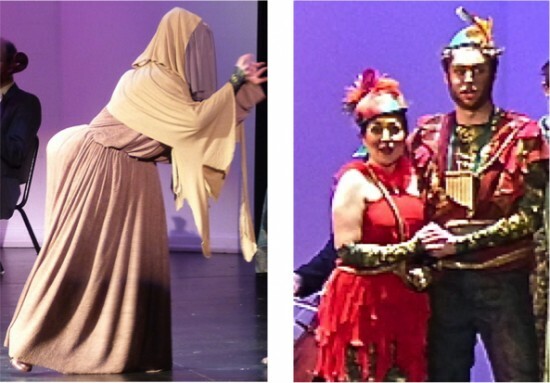 I have seen him in a great variety of roles, not only with Pocket Opera but with West Bay Opera and Opera San José – he is thoroughly believable whatever his role, but I particularly like him as an evil character – the eviler the better. My first encounter with tenor Jonathan Smucker was in 2005 when he played the French lover Camille in Pocket Opera’s Merry Widow. That opera has a large number of important supporting roles, but he made an immediate impression on me because of his distinctive face and penetrating eyes. Since then I have enjoyed seeing and hearing him in many roles with many companies – as Don Ottavio in West Bay Opera’s Don Giovanni, as Bardolfo in Opera San José’s Falstaff, and as Fenton in Pocket Opera’s Merry Wives of Windsor – to mention just a few of them. I first met mezzo Sonia Gariaeff a year earlier as Annio in West Bay Opera’s La Clemenza di Tito, but it was a year later when she played the role of Amoroso in Pocket Opera’s Carnival in Venice that I first fell in love with her. The combination of her singing and acting was truly outstanding. Since then my heart gives a little jump of pleasure every time I see her name on the program – whether the program be West Bay Opera, Lamplighters, or Pocket Opera. Here’s an indication of just how good a cast Donald Pippin is able to assemble. Last August I saw and reviewed the Lamplighters’ production of Iolanthe starring Molly Mahoney in the title role and Sonia Gariaeff as the Fairy Queen. Yet these two stars were willing to accept relatively minor roles as two of the three Ladies of the Night. I was already half in love with Molly from seeing her as Zerlina in Pocket Opera’s Don Giovanni earlier that year. Incidentally, the other Lady of the Night, Kelly Britt, fit right in with the two stars – I hope we’ll see her again in future Pocket Opera performances. The first time I could put a name to his face was when Jordan Eldridge played the Baron in Pocket Opera’s La Traviata in 2010, but I had seen him in many chorus roles before that. It has been a real pleasure watching and listening to him as he has taken on increasingly major roles leading up to Masetto in Pocket Opera’s Tales of Hoffman last year. But nothing I had seen before prepared me for the outstanding performance he gave Sunday. I rank his singing voice, his speaking voice, and his acting, right up there with any other Papageno I have seen over the many years. Coincidentally, Olympia in that performance was played by his current Papagena, Chelsea Hollow. 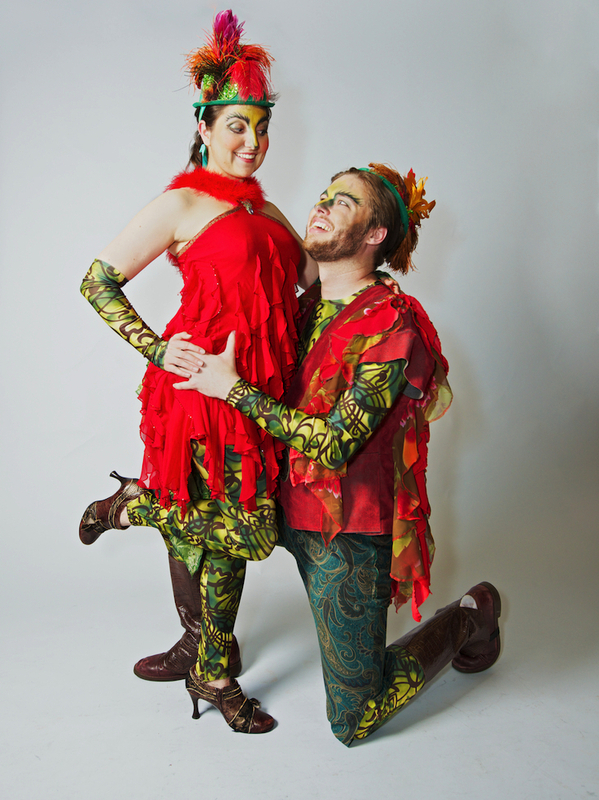 I had first seen her last year as a light-hearted Cupid in Pocket Opera’s Orpheus in the Underworld. Sunday as a crone she was suitably shuffling and squeaky-voiced; as the answer to Papageno’s prayer, she was delightfully sassy and clear-voiced. 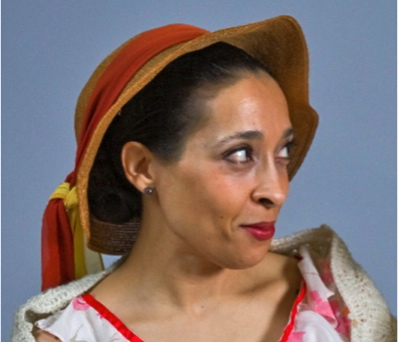 “There is no question but that Erina Newkirk was the star of the show. 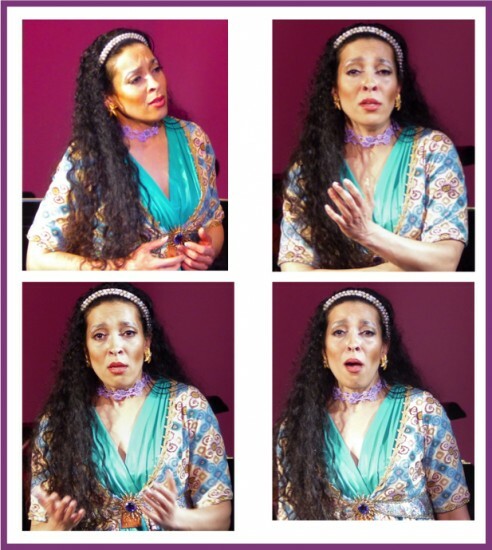 Not only is Manon the title character, but she is on stage most of the opera and has the best musical opportunities – and Ms Newkirk was fully up to the part, both musically and dramatically. Many other critics have praised her voice in words better than I can summon. I’ve no idea how old she is in real life, but on stage in Act I Manon was a vulnerable 15-year-old girl, overflowing with joy during a brief moment between a repressed childhood at home and a confined adult in a convent. I doubt if there was a parent in the audience who didn’t yearn to protect her from the real-life sorrows that they knew awaited her. That was then. This is now. I was expecting a great performance, and the reality exceeded the expectation. I can’t see enough of this young star. 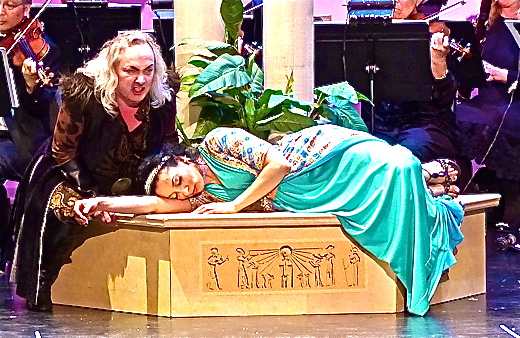 Although Mozart is well known for his multi-voiced ensembles, I can’t recall any notable examples in The Magic Flute. 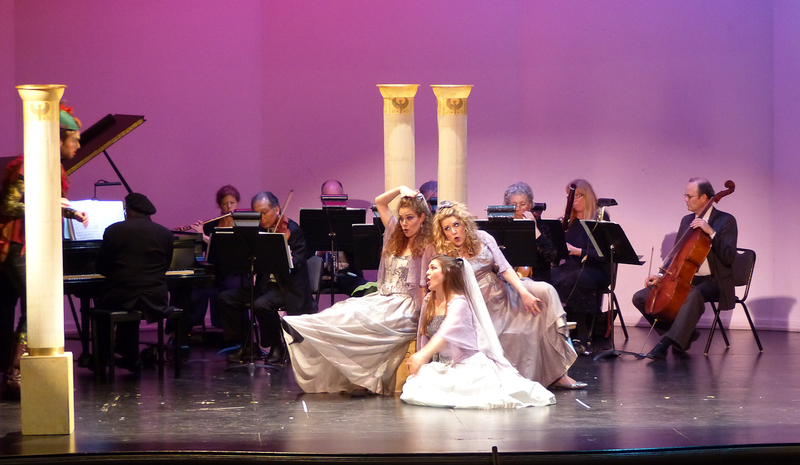 However, the opera does have a trio of trios. I’ve already commented on the three Ladies. Their close harmony in both of their scenes was a joy to listen to. I had previously heard John Bischoff as the High Priest Oroveso in Pocket Opera’s 2012 production of Norma, a role well-fitted to his fine deep-bass voice. 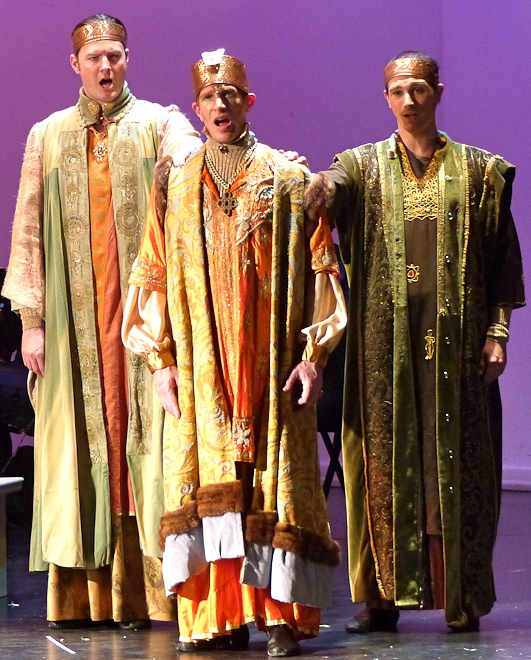 Zarastro demands even more of his voice; he meets the demand royally both as a soloist and as the bass member of a male trio with baritone Sepp Hammer (Speaker) and tenor Anthony Tavianini. Their splendid low harmonies are in startling contrast to the lighter voices of the Ladies. 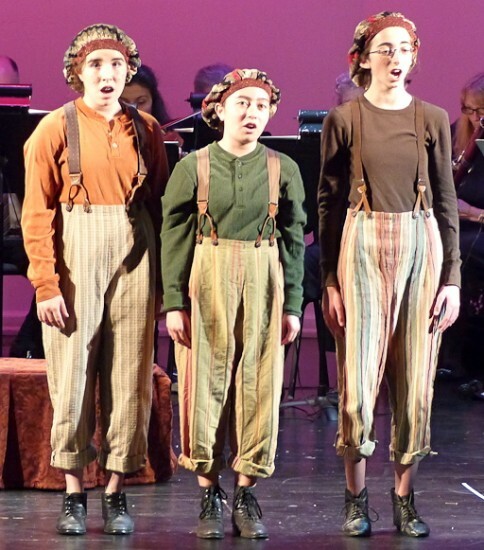 And even more contrast to the childish voices of the three spirits, Margaret Martin, Sarah Ancheta, and Emma MacKenzie. As a great-grampa I am tempted to call them “adorable”, but that would be demeaning. These kids are “good”. They knew their lines, their blocking was perfect, and their voices were a pleasure to listen to. You youngsters in the audience, jot these names down somewhere. Don’t be surprised if you find some of them singing adult roles in a decade or so. “The comedy is finished.” In Pagliachi these four words are bitterly sarcastic – here they are to be taken literally and happily. Or a more felicitous expression might be, “The song is ended, but the melody lingers on.” But if you live anywhere San Francisco, the news is even better. The comedy will be played once more on Sunday March 23 – same time, same place. I’ll be there in seat D1. Stop by and say hello during intermission. And don’t miss the remaining 4 performances of this outstanding 37th season of Pocket Opera. Tables and photo arrangements by Philip Hodge. 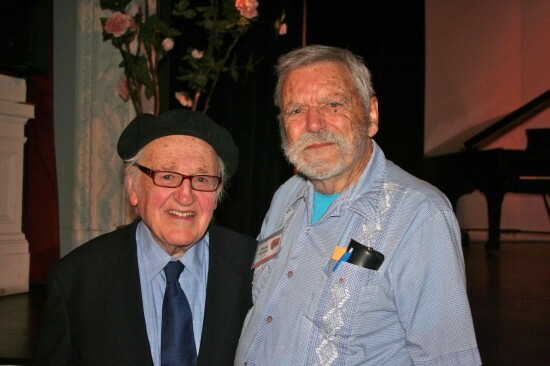 This review by Philip G Hodge appeared in sanfranciscosplash.com on March 18, 2014. 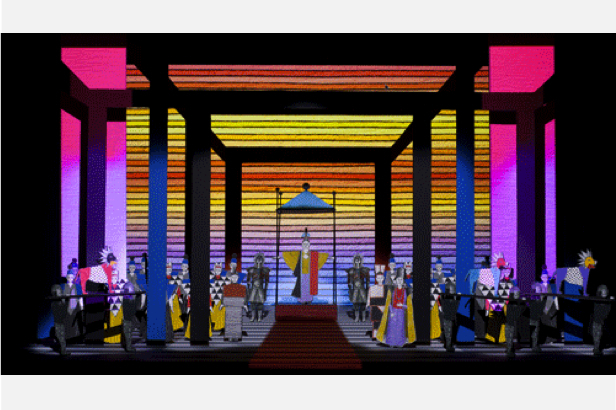 This entry was posted in Opera Review and tagged Magic Flute, Mozart, Pocket Opera. Bookmark the permalink.